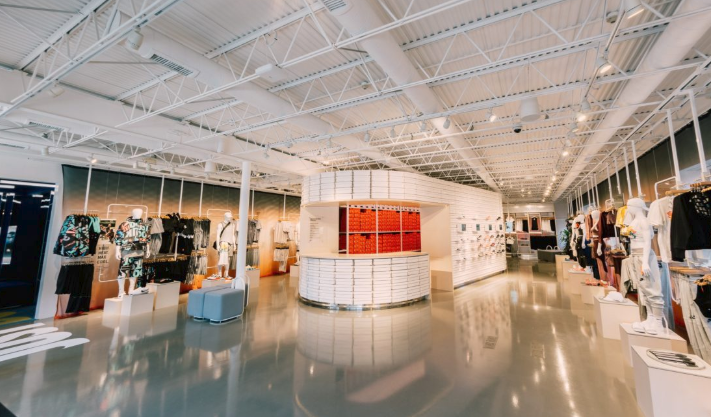 Nike is bringing some features of its mobile app to life in a new Los Angeles concept store that can adapt to consumers’ changing tastes and demands in real time. Nike hopes this will be a string of next-generation store launches. The second one will likely launch this fall on New York City’s Fifth Avenue. The concept store features new levels of interactivity that are specifically tailored towards NikePlus members. NikePlus is a free membership program that works through the Nike app, and which unlocks exclusive deals for loyal customers. One of those perks will be a vending machine-like experience called the Unlock Box that will reward NikePlus members with free merchandise, such as socks. Posted July 17, 2018 by hub_admin & filed under E-Commerce, IoT, News.